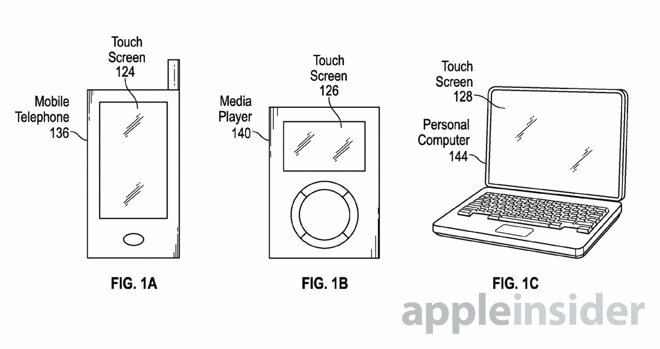 The company has filed for a pair of new touch-related inventions with the U.S. Patent and Trademark Office that were published this week, as discovered by AppleInsider. The first, entitled "Touch and Hover Sensor Compensation," describes how a device might use multiple adjacent sensors to sense movement and gestures away from a screen. Known as "hover" gestures, these three-dimensional movements can open up entirely new ways for users to interact with a device. 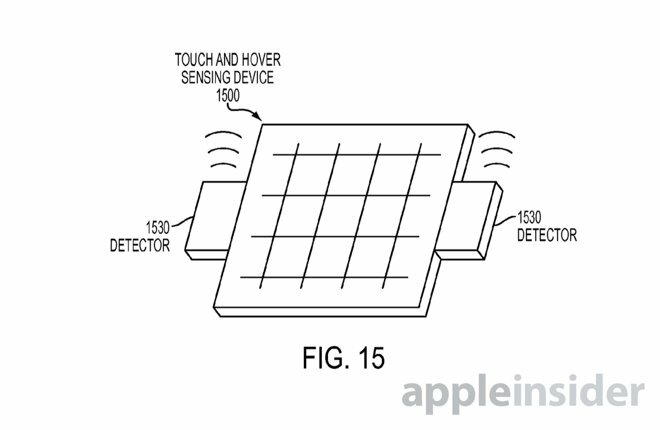 Apple's filing notes that there are motion sensing devices on the market, but providing reliable and accurate responses to hover gestures is incredibly difficult. Apple's proposed invention is related to compensation for sensors. The company aims to reduce errors by using adjacent sensors together, and applying a gain factor to measurements they capture, reducing sensitivity variation at different sensor locations on the device. "Sensor compensation can advantageously provide improved touch and hover sensing," the filing reads. In addition, the USPTO disclosed a second filing on Thursday for a patent application entitled "On-Cell Touch Architecture," describing ways to make touch panels on devices like the iPhone and iPad even thinner. 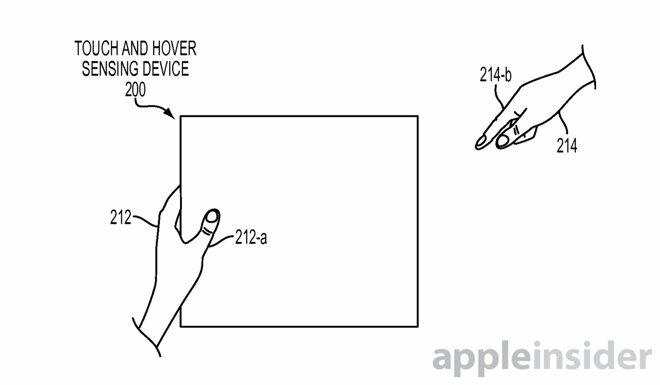 But the second filing also makes note of 3D hover gestures. 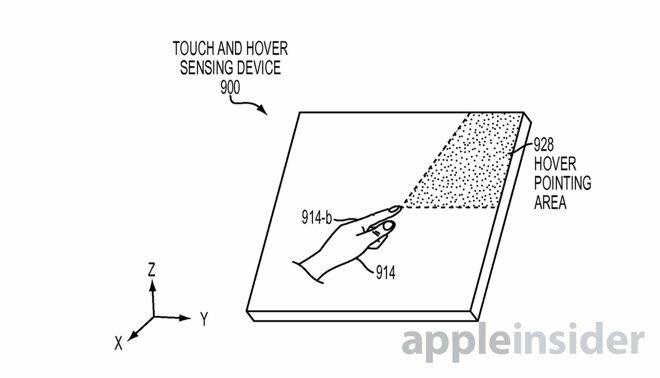 In the proposed patent, Apple notes that some capacitive touch sensing systems use fringing electrical fields to sense not only touches on the display, but also sensing fingertips beyond the surface of the display. "Objects approaching near the surface may be detected near the surface without actually touching the display," the application reads. Both filings are particularly noteworthy as Apple acquired gesture input company PrimeSense in a $360 million deal in 2013. PrimeSense is best known for creating the technology that powered Microsoft's first-generation Kinect sensor, used for motion controls and gameplay on its Xbox 360 game console. Why Apple acquired PrimeSense remains a mystery, but the existing use of its company's technology in the living room has led to speculation that a next-generation Apple TV could offer some sort of advanced motion input. Such capabilities would allow users to control their Apple TV without the need to grab a remote control, iPhone, or other accessory. As for Apple's new Force Touch input method, it was first introduced on the Apple Watch as a pressure-sensitive way to allow for new ways of interacting on a smaller display, but the company quickly adopted the technology for trackpads on its latest MacBook Pros and the new 12-inch MacBook with Retina display. It's also expected that Force Touch will be a key addition to this fall's anticipated "iPhone 6s," "iPad Air 3" and "iPad mini 4" upgrades.